Almost five years ago, Bill Gates warned Microsoft about the significant challenge to the company and industry posed by the advent of SaaS. While the new business model has yet to fully reach the gains predicted for it back then, the momentum is building. An ever-accelerating number of traditional perpetual-license software companies are readying SaaS products or have already quietly released them. In the process, a lot has been learned about the magnitude of the change that is SaaS. As company after company has discovered, often painfully, SaaS is not a trivial undertaking. Designing and building a SaaS app is hard. Achieving and sustaining profitability as a SaaS company can be an even greater challenge. 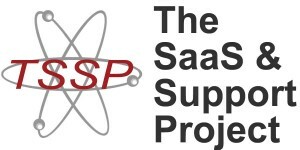 The 2009 Report of The SaaS & Support Project described alarming vulnerabilities in on-demand company organizational structure and operation for profitability in the SaaS era. Who really “owns” the ongoing customer relationship? What metrics should be applied to measure performance? Which revenue conduits are most appropriate, and how can they be made scalable? Which roles should be assigned where in the overall organizational process for maximum effect? The Project will continue its research into these and related issues through the methodology of online surveys, in-depth assessments, online forum conversations and direct interviews. The data collection process for 2010 was extended through February of 2011. The findings will be shared in a series of Executive Briefings and covered by articles here on The HotLine Magazine. A comprehensive Report will also be published as soon as possible. Advisory clients and sponsoring companies will receive direct updates on developments as the research proceeds. Individuals who join the Project will have access to the special Member Library here which will include a variety of resources as they are developed from the research. (For membership information, click here.) There are ongoing discussions in The SaaS & Support Forum on LinkedIn. The various search engines of the Internet bring visitors to The HotLine Magazine around the clock from locations all over the world. The search strings / questions being asked show a lively interest in all things SaaS, and often are added to the research efforts of the Project. Direct questions about issues of concern are welcome, and may be submitted via the Ask A Question page. While an individual reply isn’t possible in every case, your input will help shape the course of the Project and may well inspire future articles.